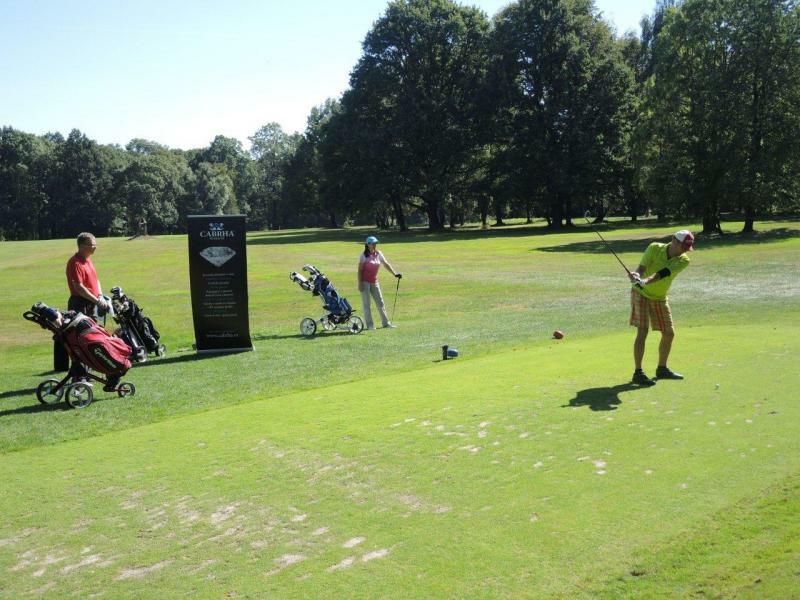 Тhe Golf tournament started at nine in the morning with registration and finished after six o'clock in the evening. Golf lovers spent so the entire day on treated green lawns in growthy sunny weather. 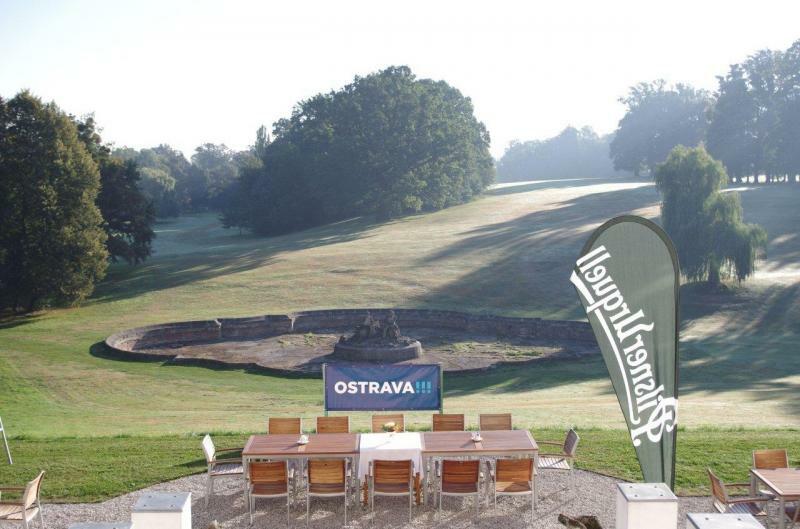 Throughout the whole day there was a refreshment in the area of Rotschild castle and of the Golf Club Silherovice. It was prepaired an Irish breakfast in the form of a buffet, a vegetarian lunch, cutlet with little steaks and salads for the ladies. 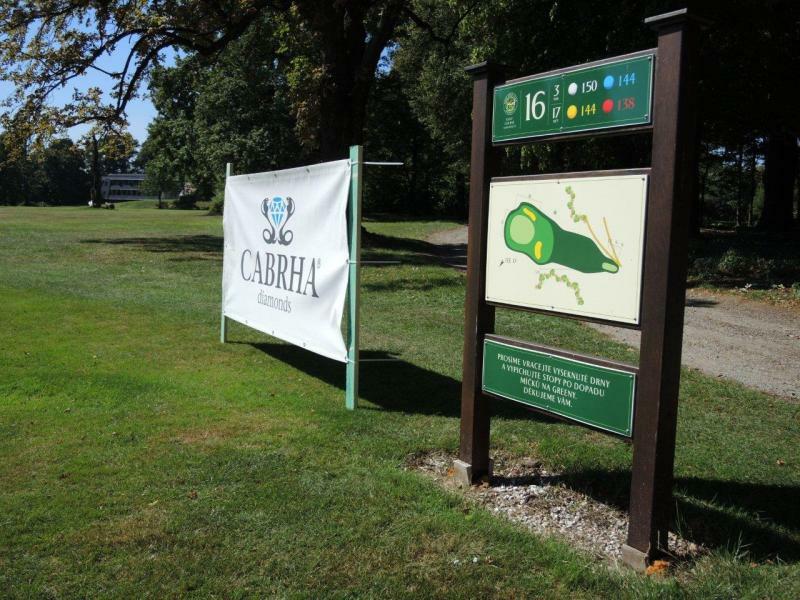 The lunch for the players was delivered on the green while playing by means of cartage. 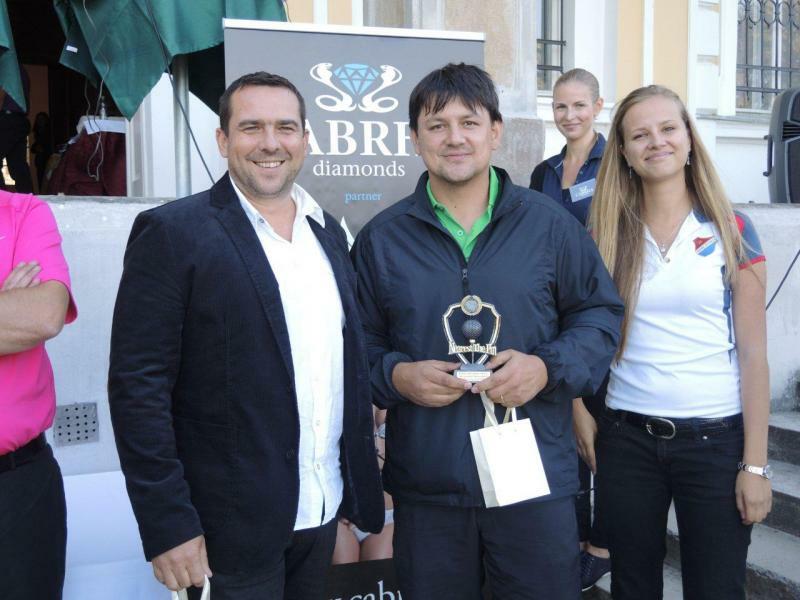 Our company CABRHA was the sponzor of this second year of tournament, which also provided the tombola for the players with three diamond rings. They were passed on the evening celebration for the players with the shot closest to the hole, the longest fire of ball and the hall - in - one, i.e. sinking the ball in the first strike directly into the hole No. 16. Unfortunately this aword hasn´t been given to anybody. Supporting program was a fashion show before the announcement of results, where more than 30 models of the formal casual fashion style of the brand „Guess“ were shown by 6 fashion models. In the castle there was also a display of our jewellery, which fascinated many of the players.